Photos by Jason Statler Photography. You might just walk right past it. 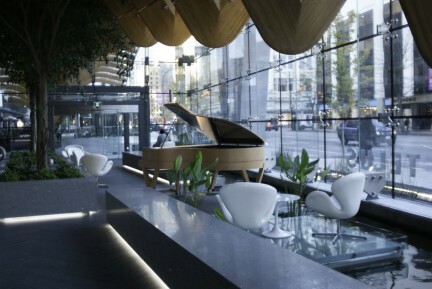 But smack dab in the heart of Vancouver on West Pender, in between the uninspired buildings of the 1980s and 1990s, sits the glowing neoclassical beacon that is The Permanent. Built in 1907 as the B.C. 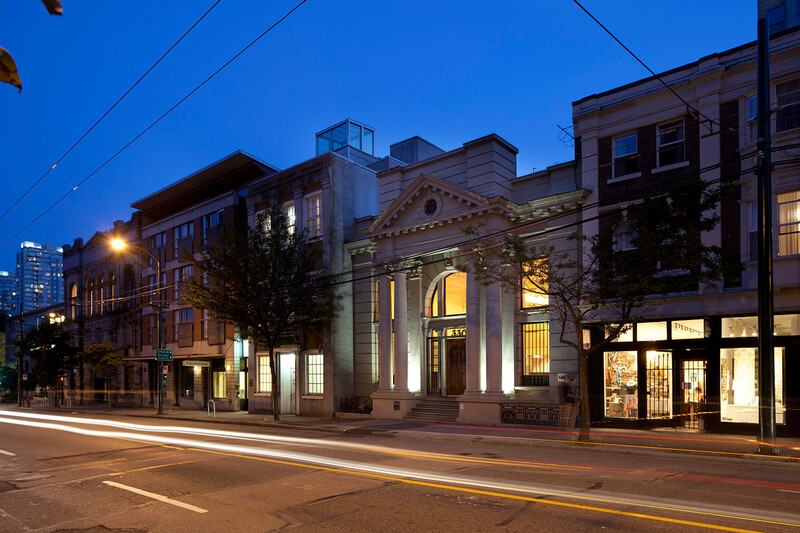 Permanent Loan Company building, the space operated as such until becoming, in 1935, Western Canada’s first Bank of Canada head office. 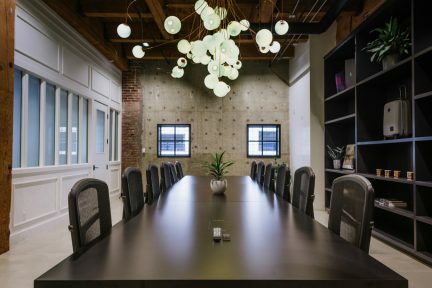 Since then it’s taken on many roles, including the headquarters of a jewellery wholesaler and the offices of an architecture firm; it was also one of the first commercial buildings in Vancouver to be fitted out with electric light bulbs. 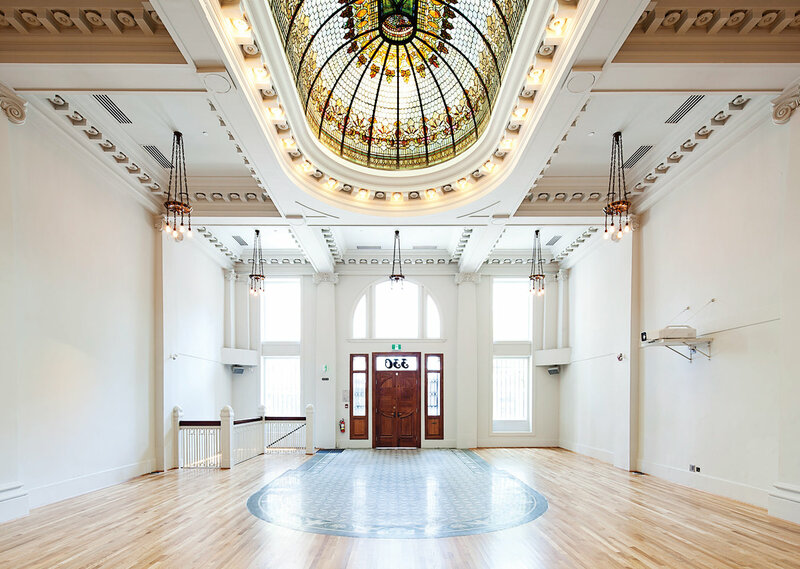 Today, under the leadership of managing director Eric Cohen and events manager Nicole Daniels, the building has been revitalized and reimagined as a private venue. 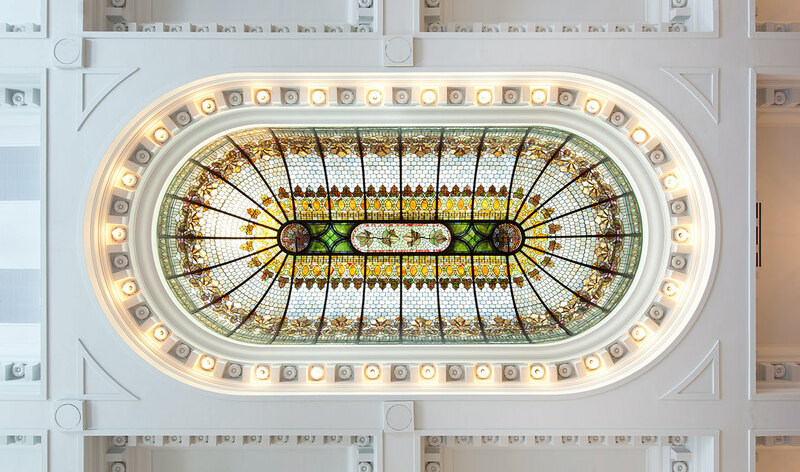 Upon entering, guests are greeted by a meticulous and original micro-mosaic floor that was, before more than 200 hours of restoration work, covered over with three layers of plywood, vinyl, and carpet. “The biggest labour of love, by a long shot, was the floor,” says Cohen. 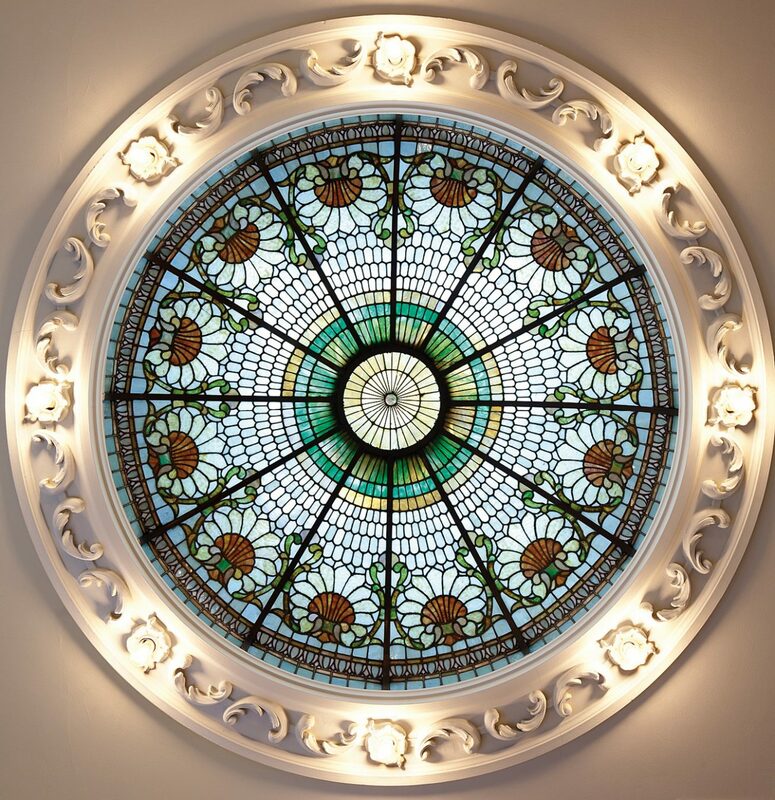 “But it’s such a beautiful thing, and it sort of mirror images the skylight above, which is another beautiful thing.” Cohen, who also owns local period lighting and decorative arts company Renew Gallery, has been careful to enhance the building’s already impressive heritage. “We didn’t put anything into the building—the building itself is very historic but a lot of it was hidden,” he says. Part of that was the original stained glass windows that flank the walls, which were stowed away until resurrected in their original places today. Conversions and re-uses have been made as well, including the old bank manager’s office, which has been turned into a beautiful and secluded dressing room, perfect for brides to primp (and maybe knock back a glass of bubbly) before heading down the aisle. 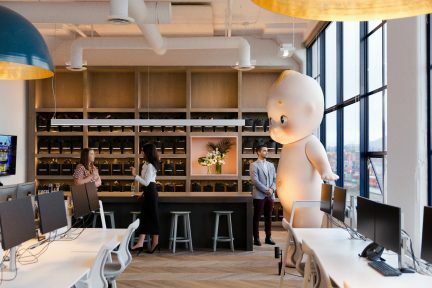 And a few additional perks have been included, such as a kitchen, and a rig system in the ceiling that allows for large-scale installations. 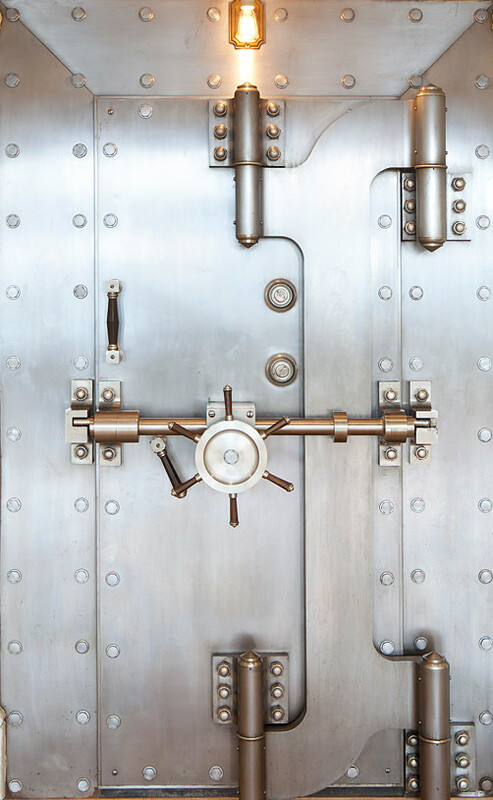 The original polished hard steel bank vault acts as a portal to an impressive 16-foot marble back bar—an original piece that was salvaged from a turn-of-the-century West End bar. 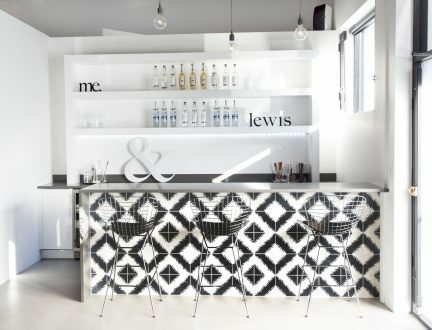 Shiny knobs and bright mirrors fuse with marble and exposed concrete, creating a mix of classic and modern—an aesthetic that feels authentically Vancouver. Extensive plaster interior decoration that remains intact throughout the building was, once upon a time, designed by Charles Marega, who also created the lions of the Lions Gate Bridge. The space, with a capacity of 263, is intimate not in size but in purpose. Its grandeur has been reserved for the environment—everything from corporate fundraisers to birthday parties for the likes of Michael Bublé are privy to custom, considered planning. 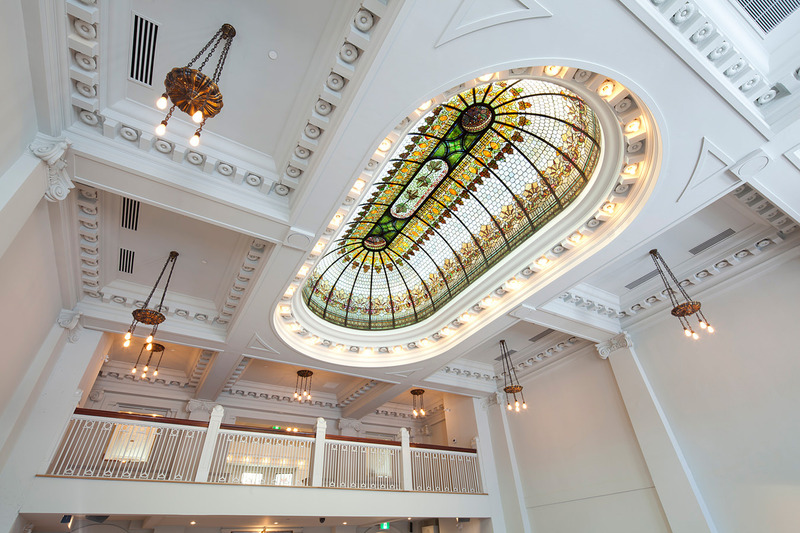 “The reason I stuck my neck out and spent close to $3 million renovating an old building is because I really felt it would be a success as a venue space,” Cohen says. Its preservation is a service to Vancouver. And that’s worth celebrating.